In the quickly changing automotive market, we globally provide products that respond to people’s safety needs through our “motor, control, and mechanism” technologies. 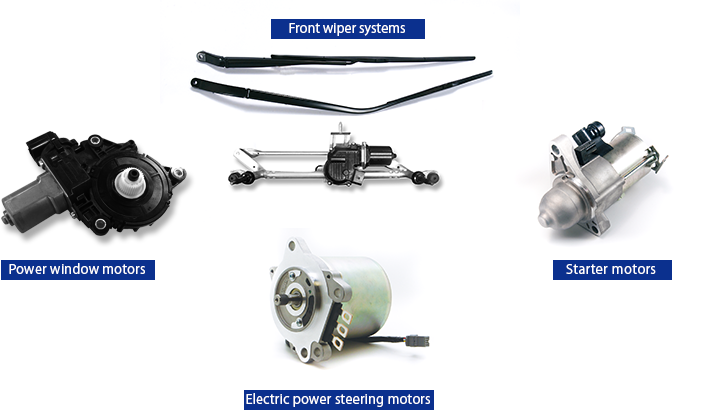 Our core products are electrical components for 4-wheeled vehicles. The skills and technologies are also applied to motorcycle components, nursing care equipment, and car accessories. In order to watch the VTR, the browser which supported the video tag is required.